. Published on January 3, 2014 . 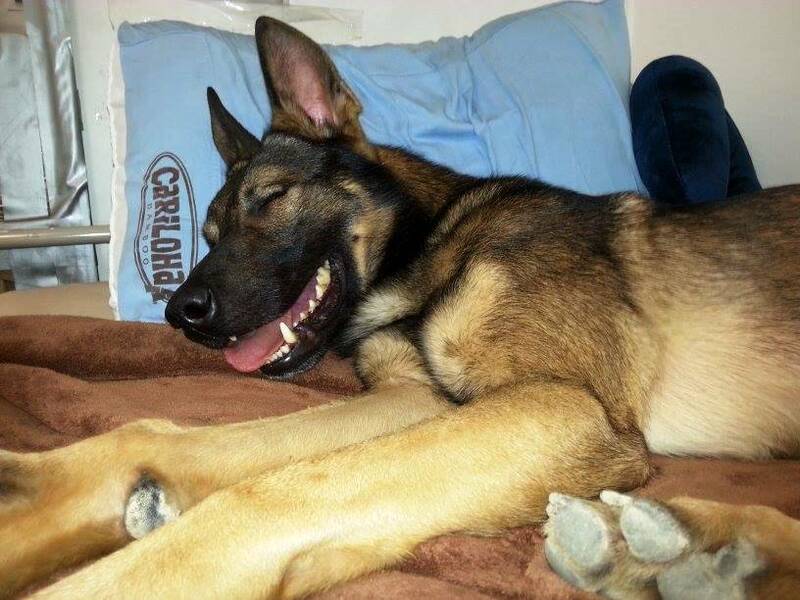 This smiling German Shepherd knows all too well how you feel after arriving home from a hard day’s work, collapsing onto your bamboo bed sheets, and saying to your spouse, “I’m dog-tired,” which is quickly followed by a sigh of comfort from the softness of your sheets. 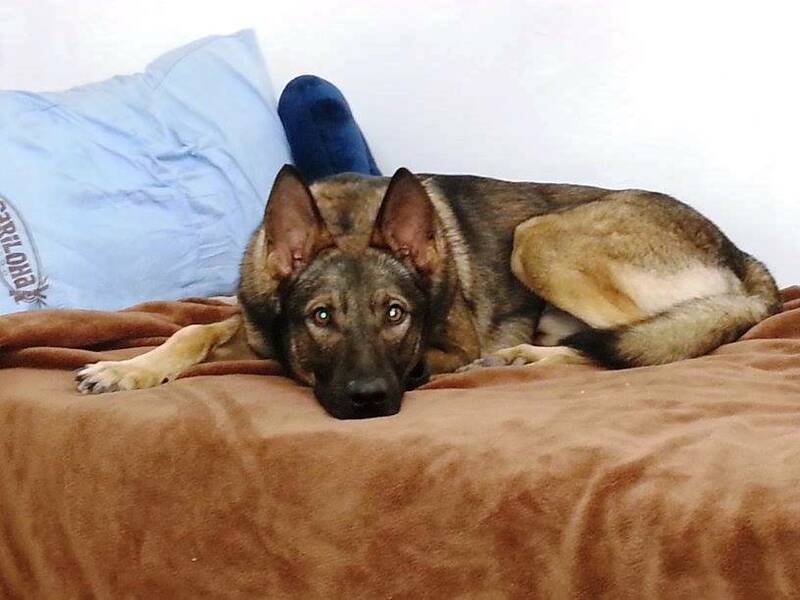 Dennis, former Onboard Media Shopping Guide, whom you may have met while sailing the Caribbean Seas on a luxury cruise ship, sent us this message about his dog, Zino, who is an explosive-detector dog that works extremely hard to protect others from harm. Glad to know that Cariloha Bamboo is helping you out on those dog-tired days. Thanks for sending us your pictures.